My bloggy friend Meghan wrote a book! I got a chance to read Organic Love and cannot recommend to you enough. It is a beautiful and compelling clean romance. And even though it’s set in 2018, it feels like a throwback to a simpler, sweeter time. I am so excited to get to introduce her and her work to you! You can purchase her book on Amazon here (if you purchase this or anything else from my link I’ll get a few pennies to help offset the cost of this site at no extra cost to you) and follow her blog at www.meghanweyerbacher.com. So without further ado, my interview with Meg! First thing I wanted to clarify is – is this your first fiction publication? Have you always written fiction or thought in terms of story lines? Pretty much. On my blog I share about the beginning stages of writing, creating my first book with printer paper and stapling them together. I have always been drawn to story. My favorite session in school was library because our librarian was a very dramatic storyteller. I am naturally this way too, acting out the Bible stories for my young Sunday school class, or when we have Vacation Bible School. Since I know you are a believer, why not Christian fiction? Did you ever consider it or what was your thought process? I am in an interesting place, trying to find where my writing belongs. I am not against putting these into the Christian genre if that’s where they need to be. Originally, I felt they’d best serve the world in the contemporary genre—so readers could see there’s a way to enjoy romance without feeling like our eyes need to be washed. This is something I am praying about still—even for what age range they will best fit. I began marketing them as NA (New Adult) which is 20-30 something year olds who are career driven, but many reviews implied they’d even recommend them to their YA readers. This is where feedback is most certainly going to benefit me and future readers! I want to place my books where they best belong! Your main character struggles with depression and panic attacks. Was this storyline personal for you or someone you love? I didn’t start out knowing it would be personal—but upon reflection I realized I may have been able to write with such understanding for Reese because I myself am familiar with the thudding heart anxiety brings to the table. Is there anything you have learned or experienced in your life that helped you write about grief in such an authentic way? This story came to me super quick, so I never had the chance to think about “how” it did until after the fact. When the story settled, I remembered I had lost a dear friend in a bad car accident at the age of seven. She passed away before I woke up from the trauma. Sometimes it still doesn’t feel like it really happened. The characters Reese and Elliott have differing opinions about coffee and tea. If you are going to hibernate under a throw with a good book, which would you prefer in your mug? Coffee! Tea is good, but coffee is my favorite, although I don’t overdo it or I get the jitters! I am currently writing book two and have the third and fourth in this “country romance series” outlined. Each is a standalone, meaning you can enjoy them in any given order, but they hold a similar theme so I am hoping to offer them as a boxed set when it’s all said and done. After that. I have other half-written stories, including one in the religious/fantasy genre which were set aside for a time, that I will hopefully work on. I also have hopes to publish a nonfiction in the Christian genre one day. Extra: I love featuring other writers and connecting. 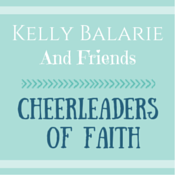 I keep my blog open to submissions and welcome faith/family-friendly posts. All writers need to do is email meg@thebloggingwriter.com. All I ask is the person be familiar with my blog and audience who are mostly readers and writers themselves. 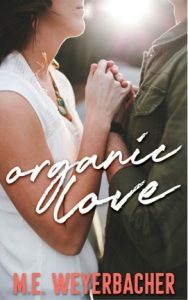 Meghan Weyerbacher is a poet, winning historical essayist, and storyteller at heart who just recently published her first clean, inspirational romance novel, Organic Love. 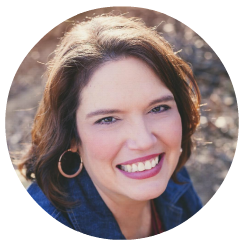 She is a wife of 15 years to a disabled veteran, a homeschool mom, and Sunday school teacher. 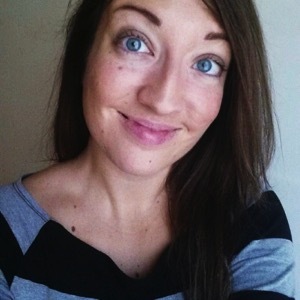 Connect with her at www.meghanweyerbacher.com and on Instagram, Twitter, Facebook, or Pinterest. I follow Meghan’s blog, too. The new book is so exciting! Yes! And the book is so good! Thank you for stopping by, Laurie! Lauren, thanks so much for sharing this! Your words are so humbling, and makes me so happy I stepped out of my comfort zone to finally share brewing stories! We, the readers, are blessed that you did! Love learning more about Meghan and her writing! Thanks for sharing! I had to chuckle about the half-written books…. I’m so there, too!!! Blessings to you both! Loved this interview today, Lauren! Thank you both for sharing more bits and pieces about the story and the writing process. I have loved reading Meghan’s book, and so look forward to the next ones!! Enjoyed this interview, and the book looks really fun! Thanks for sharing it at Booknificent Thursday on Mommynificent.com! Thanks for sharing, I like reading interviews with authors. Thanks for coming by, Laura! Lauren – great questions for Meghan! Love it and loved getting to know more behind the scenes too. Thanks for this interview.